Let The Good Times Roll! 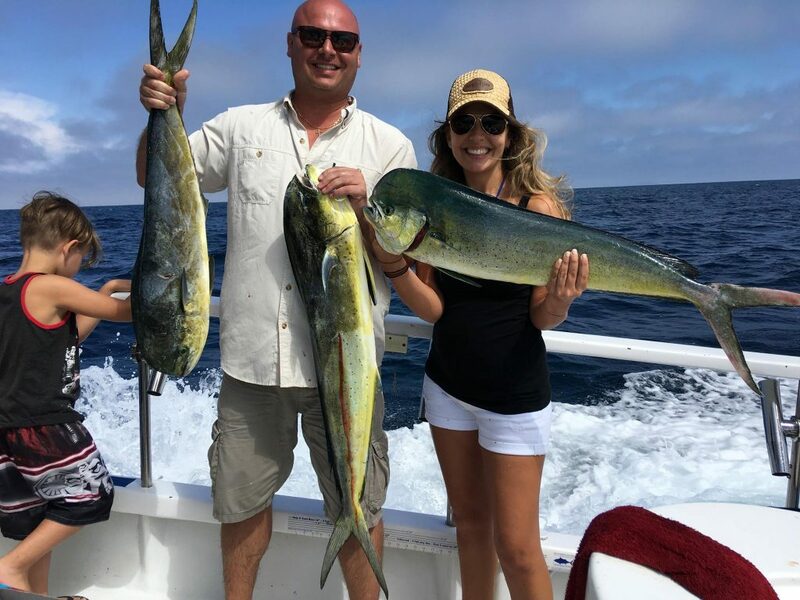 12 Yellowtail & 12 Dorado! Captain Brian at the helm and first mate Mat on a ¾ day Offshore charter today Kelp paddy fishing treated the anglers well today. 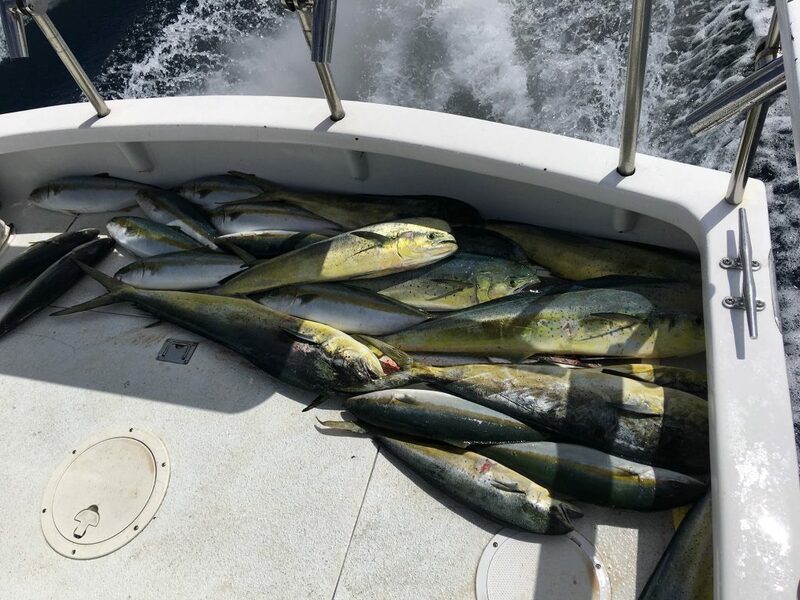 The morning started off with a bang where they landed about 4 Dorado. After that it was a long day of looking with few fish willing to bite. They found the magic paddy in the last minute and fished hard into extra innings. 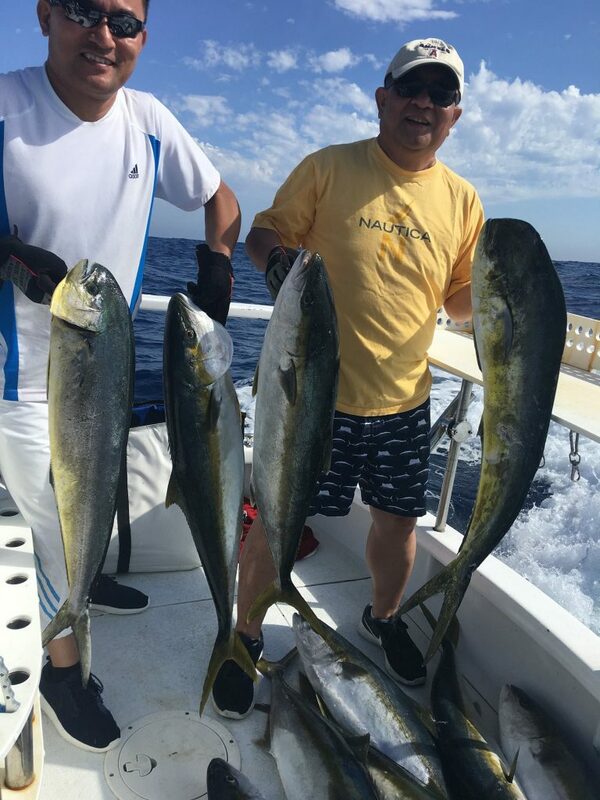 Despite mass casualties we ended the day with a dozen Dorado and a dozen yellowtail. It was total chaos as we lost at least a dozen more fish to pulled hooks, busting off and tangles. 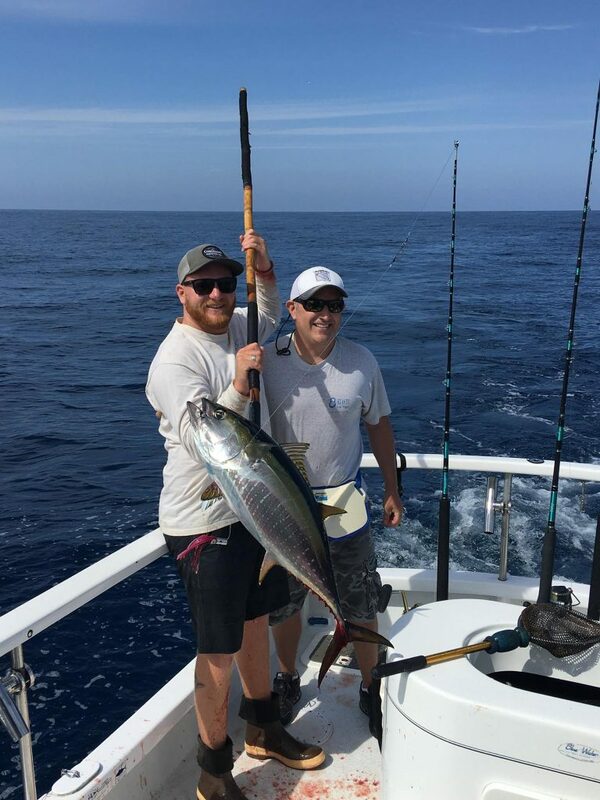 Thanks Matthew for choosing Coletta Sport Fishing for your fishing adventure. It was a pleasure working with you in setting this trip up for you and your family. 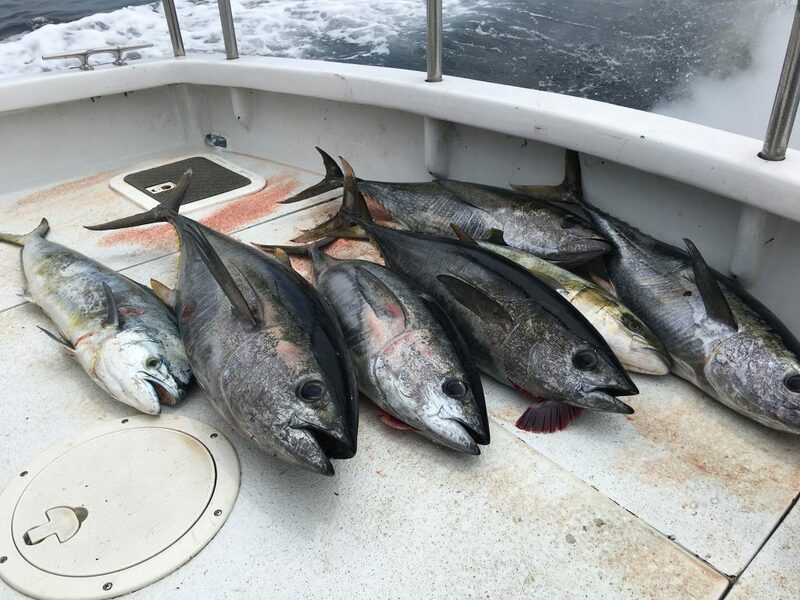 The Offshore Scene Seems To Be Heating Up! 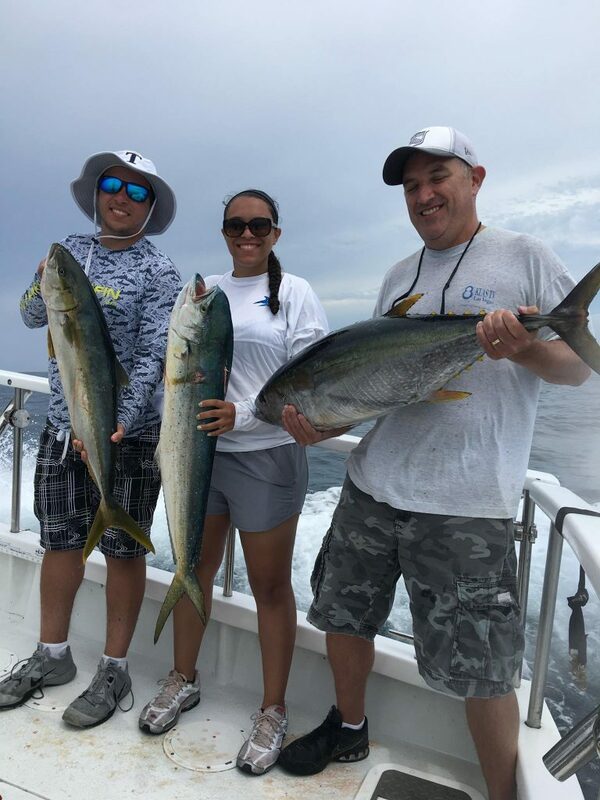 Quality Yellowfin, Yellowtail & Dorado!Captain Brian at the helm and first mate Hale on a ¾ day Offshore charter today. It was another good day of fishing for 3 anglers offshore today. 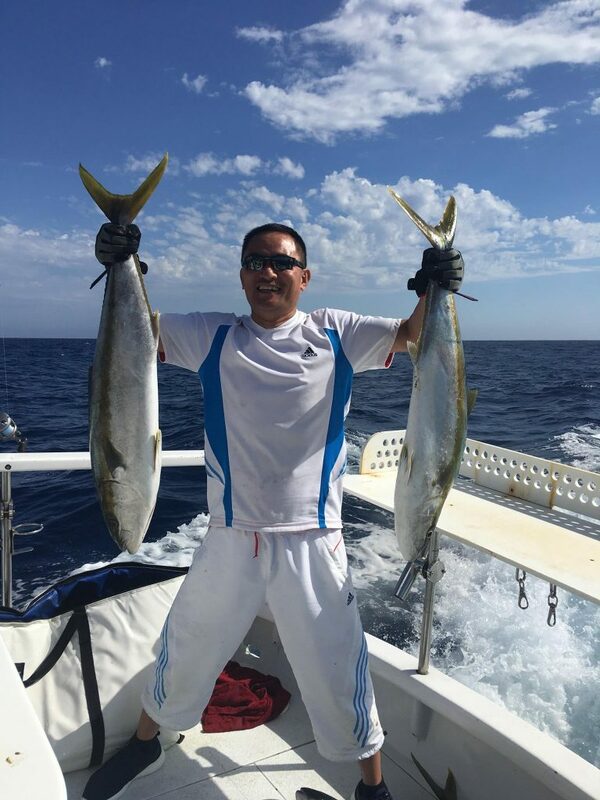 Their plans of kelp paddy hopping were changed when we hooked into a yellow fin tuna. They chased the school of fish most of the day and were able to land 5 out of 10 hook ups. 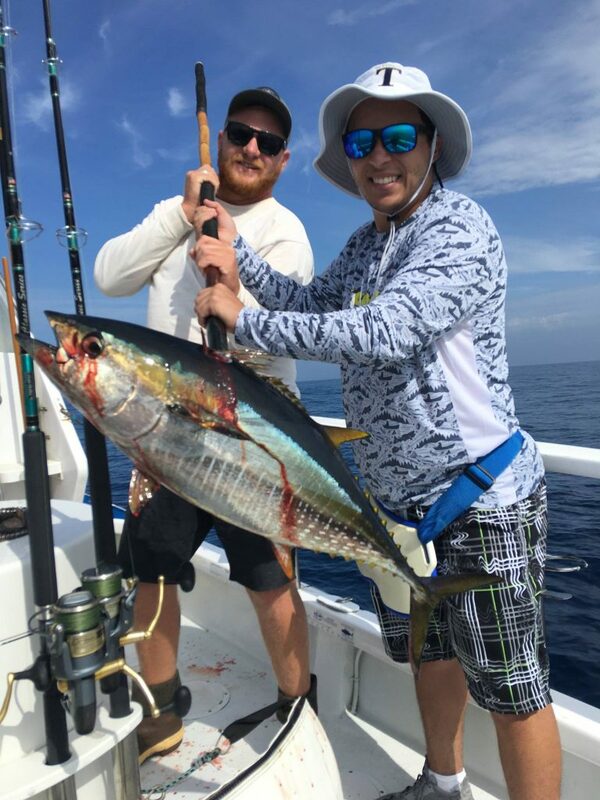 The largest tuna is about 35 pounds. They found a kelp later in the day that was loaded with dorado but only one wanted to bite. 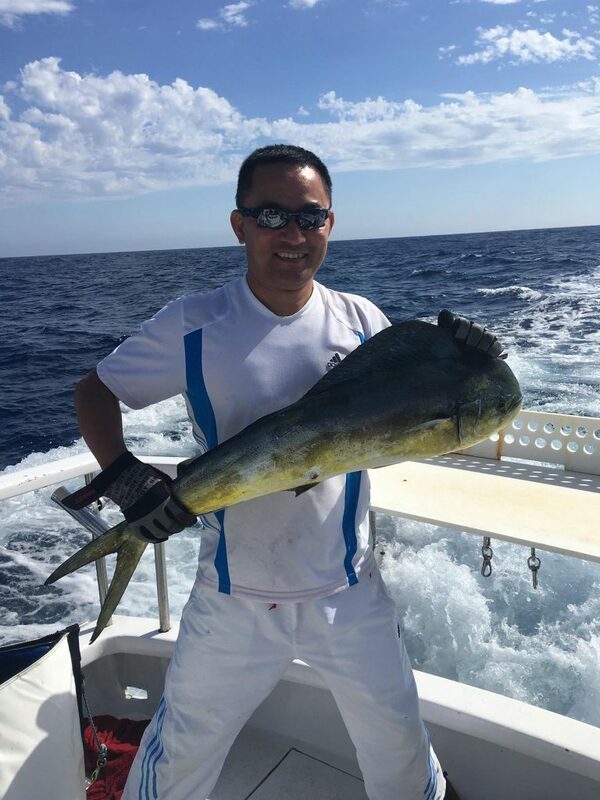 They also landed a nice yellowtail on another kelp. 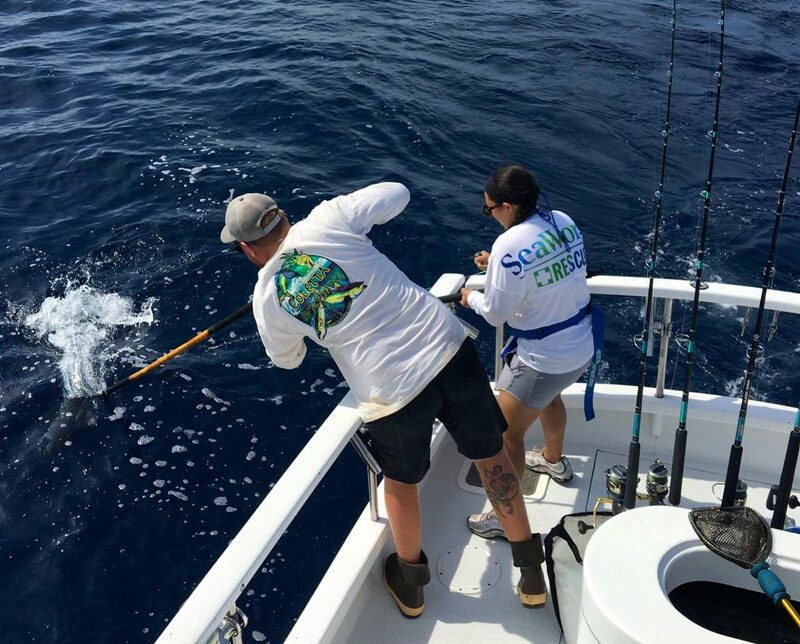 A pack of 3 marlin swam past the boat but we were unable to get a bite from them.Thanks Richard for choosing Coletta Sport Fishing for your fishing adventure. Great job everyone on landing all those fish. Offshore Season Game On! 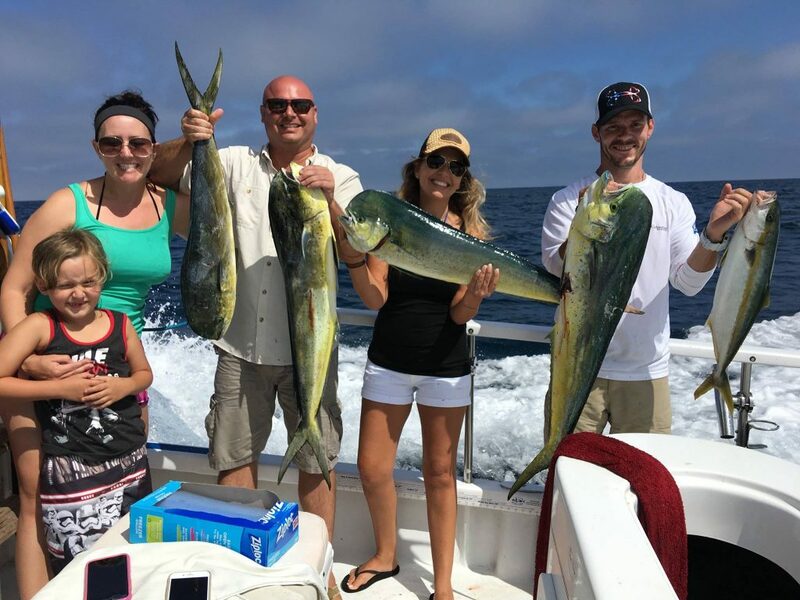 Catching 18 Yellowtail & 2 Dorado! Captain Brian at the helm and first mate Mat on a Full day offshore charter today. They found the right kelp today and it was game on the bigger grade of yellowtail. 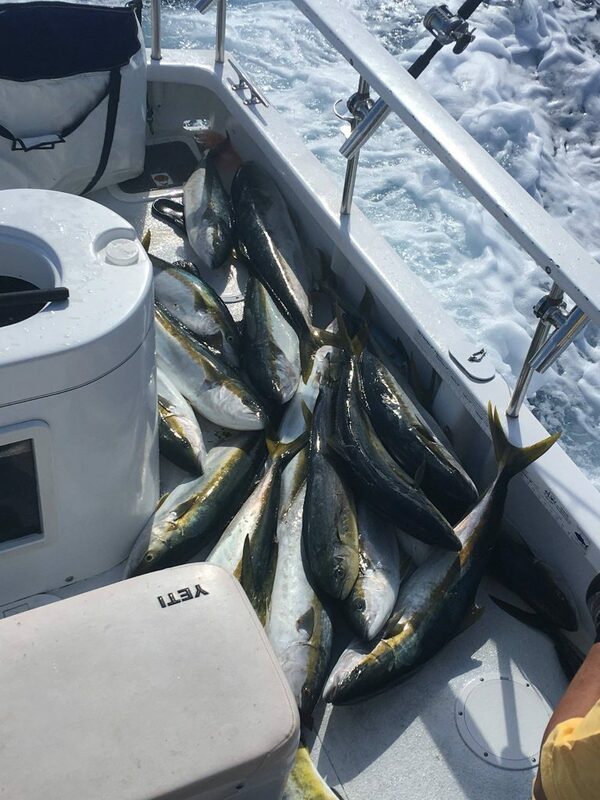 They caught 18 yellowtail up to 30 pounds and 2 dorado. 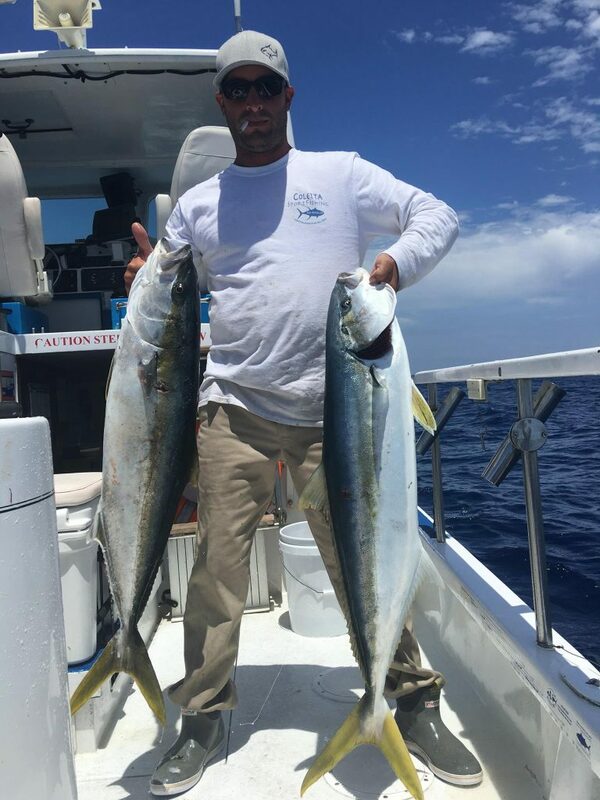 Most fish came off of one magic kelp paddy but they did hook a dorado and another yellowtail on a different kelp. 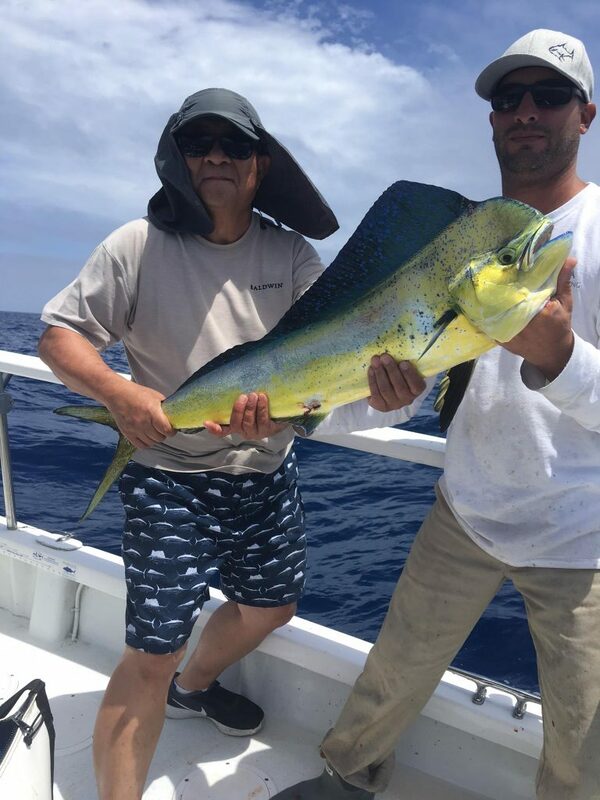 The second dorado ate a trolled feather and we also had a fish hit a cedar plug that did not stick. Overall a great day of fishing! 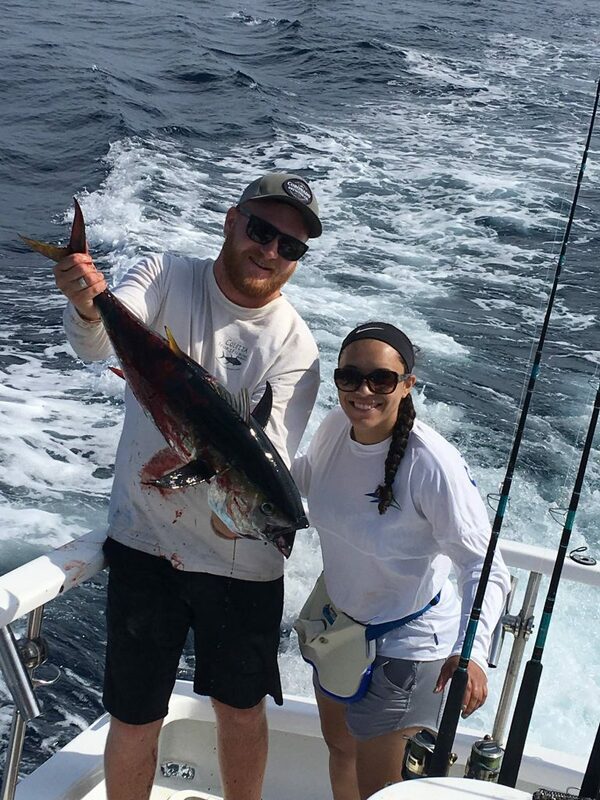 Thanks Jason for choosing Coletta Sport Fishing for your fishing adventure. Fantastic job on all those fish!